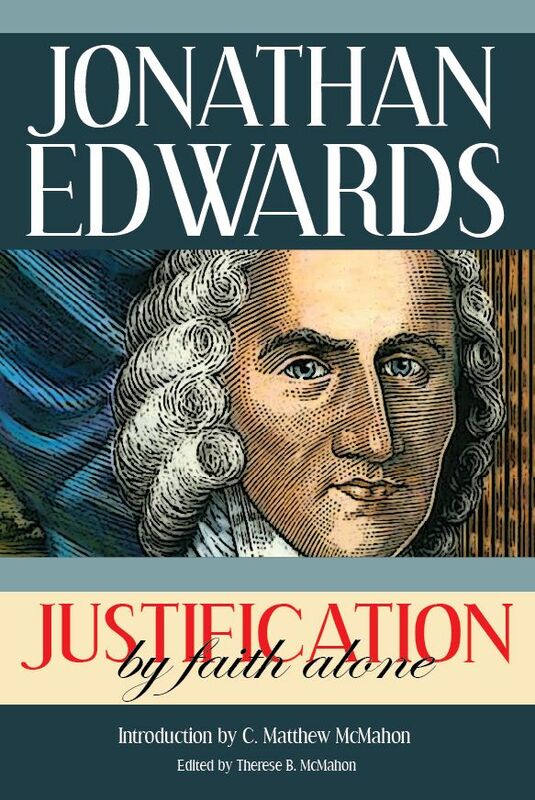 Edwards teaches that God is glorified in the work of redemption in that there appears in it so absolute and universal a dependence of the redeemed on Him. 1. 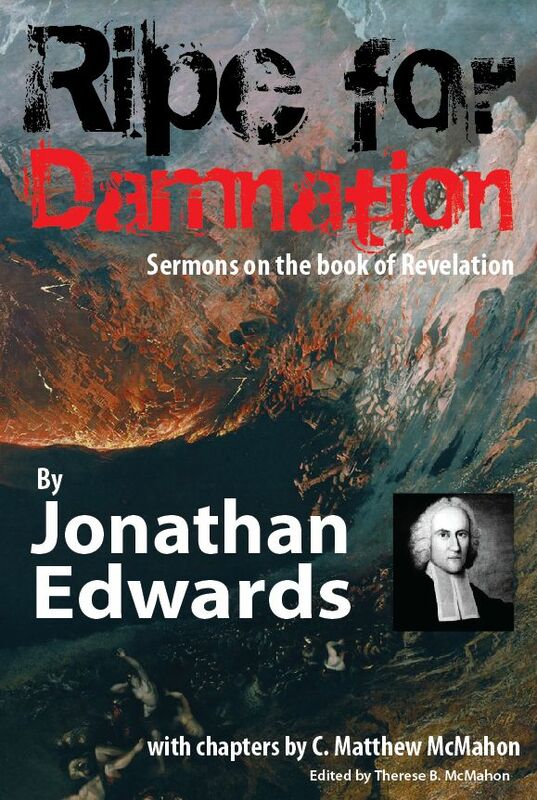 What God aims at in the disposition of things in the affair of redemption, viz. that man should not glory in himself, but alone in God; That no flesh should glory in his presence,-that, according as it is written, He that glorieth, let him glory in the Lord. First, All the good that they have is in and through Christ; He is made unto us wisdom, righteousness, sanctification, and redemption. All the good of the fallen and redeemed creature is concerned in these four things, and cannot be better distributed than into them; but Christ is each of them to us, and we have none of them any otherwise than in him. He is made of God unto us wisdom: in him are all the proper good and true excellency of the understanding. Wisdom was a thing that the Greeks admired; but Christ is the true light of the world; it is through him alone that true wisdom is imparted to the mind. It is in and by Christ that we have righteousness: it is by being in him that we are justified, have our sins pardoned, and are received as righteous into God’s favour. It is by Christ that we have sanctification: we have in him true excellency of heart as well as of understanding; and he is made unto us inherent as well as imputed righteousness. It is by Christ that we have redemption or the actual deliverance from all misery, and the bestowment of all happiness and glory. Thus we have all our good by Christ, who is God. God is glorified in the work of redemption in this, that there appears in it so absolute and universal a dependence of the redeemed on him. Here I propose to show, 1st That there is an absolute and universal dependence of the redeemed on God for all their good. And, 2ndly, That God hereby is exalted and glorified in the work of redemption. First, The redeemed have all their good of God. God is the great author of it. He is the first cause of it; and not only so, but he is the only proper cause. It is of God that we have our Redeemer. It is God that has provided a Saviour for us. Jesus Christ is not only of God in his person, as he is the only­begotten Son of God, but he is from God, as we are concerned in him, and in his office of Mediator. He is the gift of God to us: God chose and anointed him, appointed him his work, and sent him into the world. And as it is God that gives, so it is God that accepts the Saviour. He gives the purchaser, and he affords the thing purchased. It is of God that Christ becomes ours, that we are brought to him, and are united to him. It is of God that we receive faith to close with him, that we may have an interest in him. Eph. ii. 8. ” For by grace ye are saved, through faith; and that not of yourselves, it is the gift of God.” It is of God that we actually receive all the benefits that Christ has purchased. It is God that pardons and justifies, and delivers from going down to hell; and into his favour the redeemed are received, when they are justified. So it is God that delivers from the dominion of sin, cleanses us from our filthiness, and changes us from our deformity. It is of God that the redeemed receive all their true excellency wisdom, and holiness; and that two ways, viz. as the Holy Ghost by whom these things are immediately wrought is from God, proceeds from him, and is sent by him; and also as the Holy Ghost himself is God, by whose operation and indwelling the knowledge of God and divine things, a holy disposition and all grace, are conferred and upheld. And though means are made use of in conferring grace on men’s souls, yet it is of God that we have these means of grace, and it is he that makes them effectual. It is of God that we have the Holy Scriptures; they are his word. It is of God that we have ordinances, and their efficacy depends on the immediate influence of his Spirit. The ministers of the gospel are sent of God, and all their sufficiency is of him. 2 Cor. iv. 7. ” We have this treasure in earthen vessels, that the excellency of the power may be of God, and not of us.” Their success depends entirely and absolutely on the immediate blessing and influence of God. 1. The redeemed have all from the grace of God. 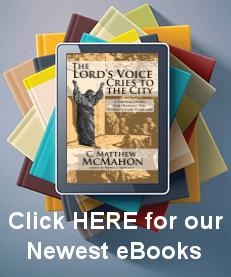 It was of mere grace that God gave us his only­begotten Son. The grace is great in proportion to the excellency of what is given. The gift was infinitely precious, because it was of a person infinitely worthy, a person of infinite glory; and also because it was of a person infinitely near and dear to God. The grace is great in proportion to the benefit we have given us in him. The benefit is doubly infinite, in that in him we have deliverance from an infinite, because an eternal, misery, and do also receive eternal joy and glory. The grace in bestowing this gift is great in proportion to our unworthiness to whom it is given; instead of deserving such a gift, we merited infinitely ill of God’s hands. The grace is great according to the manner of giving, or in proportion to the humiliation and expense of the method and means by which a way is made for our having the gift. He gave him to dwell amongst us; he gave him to us incarnate, or in our nature; and in the like though sinless infirmities. He gave him to us in a low and afflicted state; and not only so, but as slain, that he might be a feast for our souls. The grace of God in bestowing this gift is most free. It was what God was under no obligation to bestow. He might have rejected fallen man, as he did the fallen angels. It was what we never did any thing to merit; it was given while we were yet enemies, and before we had so much as repented. It was from the love of God who saw no excellency in us to attract it; and it was without expectation of ever being requited for it.-And it is from mere grace that the benefits of Christ are applied to such and such particular persons. Those that are called and sanctified are to attribute it alone to the good pleasure of God’s goodness, by which they are distinguished. He is sovereign, and hath mercy on whom he will have mercy. And as we are dependent on the goodness of God for more now than under the first covenant, so we are dependent on a much greater, more free and wonderful goodness. We are now more dependent on God’s arbitrary and sovereign good pleasure. We were in our first estate dependent on God for holiness. We had our original righteousness from him; but then holiness was not bestowed in such a way of sovereign good pleasure as it is now. Man was created holy, for it became God to create holy all his reasonable creatures. It would have been a disparagement to the holiness of God’s nature, if he had made an intelligent creature unholy. But now when fallen man is made holy, it is from mere and arbitrary grace; God may for ever deny holiness to fallen creature if he pleases, without any disparagement to any of his perfections. And we are not only indeed more dependent on the grace of God, but our dependence is much more conspicuous, because our own insufficiency and helplessness in ourselves is much more apparent in our fallen and undone state, than it was before we were either sinful or miserable. We are more apparently dependent on God for holiness, because we are first sinful, and utterly polluted, and afterward holy. So the production of the effect is sensible, and its derivation from God more obvious. If man was ever holy and always was so, it would not be so apparent, that he had not holiness necessarily, as an inseparable qualification of human nature. So we are more apparently dependent on free grace for the favour of God, for we are first justly the objects of his displeasure, and afterwards are received into favour. We are more apparently dependent on God for happiness, being first miserable, and afterwards happy. It is more apparently free and without merit in us, because we are actually without any kind of excellency to merit, if there could be any such thing as merit in creature excellency. And we are not only without any true excellency, but are full of, and wholly defiled with, that which is infinitely odious. All our good is more apparently from God, because we are first naked and wholly without any good, and afterwards enriched with all good. We are dependent on God’s power through every step of our redemption. We are dependent on the power of God to convert us, and give faith in Jesus Christ, and the new nature. It is a work of creation: ” If any man be in Christ, he is a new creature,” 2 Cor. 5:17. “We are created in Christ Jesus,” Eph. 2:10. The fallen creature cannot attain to true holiness, but by being created again. Eph. 4:24. ” And that ye put on the new man, which after God is created in righteousness and true holiness.” It is a raising from the dead. Colos. 2:12, 13. “Wherein also ye are risen with him through the faith of the operation of God, who hath raised him from the dead.” Yea, it is a more glorious work of power than mere creation, or raising a dead body to life, in that the effect attained is greater and more excellent. That holy and happy being, and spiritual life, which is produced in the work of conversion, is a far greater and more glorious effect, than mere being and life. And the state from whence the change is made-a death in sin, a total corruption of nature, and depth of misery-is far more remote from the state attained, than mere death or non­entity. It is by God’s power also that we are preserved in a state of grace. 1 Peter 1:5. ” Who are kept by the power of God through faith unto salvation.” As grace is at first from God, so it is continually from him, and is maintained by him, as much as light in the atmosphere is all day long from the sun, as well as at first dawning, or sun­rising.-Men are dependent on the power of God for every exercise of grace, and for carrying on that work in the heart, for subduing sin and corruption, increasing holy principles, and enabling to bring forth fruit in good works. Man is dependent on divine power in bringing grace to its perfection, in making the soul completely amiable in Christ’s glorious likeness, and filling of it with a satisfying joy and blessedness; and for the raising of the body to life, and to such a perfect state, that it shall be suitable for a habitation and organ for a soul perfected and blessed. These are the most glorious effects of the power of God, that are seen in the series of God’s acts with respect to the creatures. Man was dependent on the power of God in his first estate, but he is more dependent on his power now; he needs God’s power to do more things for him, and depends on a more wonderful exercise of his power. It was an effect of the power of God to make man holy at the first; but more remarkably so now, because there is a great deal of opposition and difficulty in the way. It is a more glorious effect of power to make that holy that was so depraved, and under the dominion of sin, than to confer holiness on that which before had nothing of the contrary. It is a more glorious work of power to rescue a soul out of the hands of the devil, and from the powers of darkness, and to bring it into a state of salvation, than to confer holiness where there was no prepossession or opposition. Luke 11:21,22. “When a strong man armed keepeth his palace, his goods are in peace; but when a stronger than he shall come upon him, and overcome him, he taketh from him all his armour, wherein he trusted, and divideth his spoils.” So it is a more glorious work of power to uphold a soul in a state of grace and holiness, and to carry it on till it is brought to glory, when there is so much sin remaining in the heart resisting, and Satan with all his might opposing, than it would have been to have kept man from falling at first, when Satan had nothing in man.-Thus we have shown how the redeemed are dependent on God for all their good, as they have all of him. Secondly, They are also dependent on God for all, as they have all through him. God is the medium of it, as well as the author and fountain of it. All we have, wisdom, the pardon of sin, deliverance from hell, acceptance into God’s favour, grace and holiness, true comfort and happiness, eternal life and glory, is from God by a Mediator; and this Mediator is God; which Mediator we have an absolute dependence upon, as he through whom we receive all. So that here is another way wherein we have our dependence on God for all good. God not only gives us the Mediator, and accepts his mediation, and of his power and grace bestows the things purchased by the Mediator; but he the Mediator is God. Our blessings are what we have by purchase; and the purchase is made of God, the blessings are purchased of him, and God gives the purchaser; and not only so, but God is the purchaser. Yea God is both the purchaser and the price; for Christ, who is God, purchased these blessings for us, by offering up himself as the price of our salvation. He purchased eternal life by the sacrifice of himself. Heb. vii. 27. ” He offered up himself.” And ix. 26. ” He hath appeared to take away sin by the sacrifice of himself.” Indeed it was the human nature that was offered; but it was the same person with the divine, and therefore was an infinite price. Thirdly, The redeemed have all their good in God. We not only have it of him, and through him, but it consists in him; he is all our good.-The good of the redeemed is either objective or inherent. By their objective good, I mean that extrinsic object, in the possession and enjoyment of which they are happy. Their inherent good is that excellency or pleasure which is in the soul itself. With respect to both of which the redeemed have all their good in God, or which is the same thing, God himself is all their good. 1. The redeemed have all their objective good in God. God himself is the great good which they are brought to the possession and enjoyment of by redemption. He is the highest good, and the sum of all that good which Christ purchased. God is the inheritance of the saints; he is the portion of their souls. God is their wealth and treasure, their food, their life, their dwellingplace, their ornament and diadem, and their everlasting honour and glory. They have none in heaven but God; he is the great good which the redeemed are received to at death, and which they are to rise to at the end of the world. The Lord God is the light of the heavenly Jerusalem; and is the ” river of the water of life” that runs, and ” the tree of life that grows, in the midst of the paradise of God.” The glorious excellencies and beauty of God will be what will for ever entertain the minds of the saints, and the love of God will be their everlasting feast. The redeemed will indeed enjoy other things; they will enjoy the angels, and will enjoy one another; but that which they shall enjoy in the angels, or each other, or in any thing else whatsoever that will yield them delight and happiness, will be what shall be seen of God in them. 2. The redeemed have all their inherent good in God. Inherent good is twofold; it is either excellency or pleasure. These the redeemed not only derive from God, as caused by him, but have them in him. They have spiritual excellency and joy by a kind of participation of God. They are made excellent by a communication of God’s excellency. God puts his own beauty, i.e. his beautiful likeness, upon their souls. They are made partakers of the divine nature, or moral image of God, 2 Pet. i. 4. They are holy by being made partakers of God’s holiness. Heb. 12:. 10. The saints are beautiful and blessed by a communication of God’s holiness and joy, as the moon and planets are bright by the sun’s light. The saint hath spiritual joy and pleasure by a kind of effusion of God on the soul. In these things the redeemed have communion with God; that is, they partake with him and of him. The saints have both their spiritual excellency and blessedness by the gift of the Holy Ghost, and his dwelling in them. They are not only caused by the Holy Ghost, but are in him as their principle. The Holy Spirit becoming an inhabitant, is a vital principle in the soul. He, acting in, upon, and with the soul, becomes a fountain of true holiness and joy, as a spring is of water, by the exertion and diffusion of itself. John iv. 14. ” But whosoever drinketh of the water that I shall give him, shall never thirst; but the water that I shall give him, shall be in him a well of water sprigging up into everlasting life.” Compared with chap. vii. 38, 39. ” He that believeth on me, as the Scripture hath said, out of his belly shall flow rivers of living water; but this spake he of the Spirit, which they that believe on him should receive.” The sum of what Christ has purchased for us, is that spring of water spoken of in the former of those places, and those rivers of living water spoken of in the latter. And the sum of the blessings, which the redeemed shall receive in heaven, is that river of water of life that proceeds from the throne of God and the Lamb, Rev. 22:. 1. Which doubtless signifies the same with those rivers of living water, explained, John vii. 38, 39, which is elsewhere called the ” river of God’s pleasures.” Herein consists the fulness of good, which the saints receive of Christ. The Holy Spirit and good things are spoken of in Scripture as the same; as if the Spirit of God communicated to the soul, comprised all good things, Matt. 7:2 . ” How much more shall your heavenly Father give good things to them that ask him?” In Luke it is, chap. 11:. 13. ” How much more shall your heavenly Father give the Holy Spirit to them that ask him?” This is the sum of the blessings that Christ died to procure, and the subject of gospel­promises. Gal. iii. 1 3, 14. ” He was made a curse for us, that we might receive the promise of the Spirit through faith.” The Spirit of God is the great promise of the Father, Luke 24:. 49. ” Behold, I send the promise of my Father upon you.” The Spirit of God therefore is called ” the Spirit of promise,” Eph. 1:33. This promised thing Christ received, and had given into his hand, as soon as he had finished the work of our redemption, to bestow on all that he had redeemed; Acts ii. 13. “Therefore being by the right hand of God exalted, and having received of the Father the promise of the Holy Ghost, he hath shed forth this, which ye both see and hear.” So that all the holiness and happiness of the redeemed is in God. It is in the communications, indwelling, and acting of the Spirit of God. Holiness and happiness is in the fruit, here and hereafter, because God dwells in them, and they in God. Thus God has given us the Redeemer, and it is by him that our good is purchased. So God is the Redeemer and the price; and he also is the good purchased. So that all that we have is of God, and through him, and in him. Rom. 11:36. ” For of him, and through him, and to him, or in him, are all things.” The same in the Greek that is here rendered to him, is rendered in him, I Cor. 8:6. 1. Man hath so much the greater occasion and obligation to notice and acknowledge God’s perfections and all­sufficiency. The greater the creature’s dependence is on God’s perfections, and the greater concern he has with them, so much the greater occasion has he to take notice of them. So much the greater con cern any one has with and dependence upon the power and grace of God, so much the greater occasion has he to take notice of that power and grace. So much the greater and more immediate dependence there is on the divine holiness, so much the greater occasion to take notice of and acknowledge that. So much the greater and more absolute dependence we have on the divine perfections, as belonging to the several persons of the Trinity, so much the greater occasion have we to observe and own the divine glory of each of them. That which we are most concerned with, is surely most in the way of our observation and notice; and this kind of concern with any thing, viz. dependence, does especially tend to command and oblige the attention and observation. Those things that we are not much dependent upon, it is easy to neglect; but we can scarce do any other than mind that which we have a great dependence on. By reason of our so great dependence on God, and his perfections, and in so many respects, he and his glory are the more directly set in our view, which way soever we turn our eyes. We have the greater occasion to take notice of God’s all­sufficiency, when all our sufficiency is thus every way of him. We have the more occasion to contemplate him as an infinite good, and as the fountain of all good. Such a dependence on God demonstrates his all­sufficiency. So much as the dependence of the creature is on God, so much the greater does the creature’s emptiness in himself appear; and so much the greater the creature’s emptiness, so much the greater must the fulness of the Being be who supplies him. Our having all of God, shows the fulness of his power and grace; our having all through him, shows the fulness of his merit and worthiness; and our having all in him, demonstrates his fulness of beauty, love, and happiness. And the redeemed, by reason of the greatness of their dependence on God, have not only so much the greater occasion, but obligation to contemplate and acknowledge the glory and fulness of God. How unreasonable and ungrateful should we be, if we did not acknowledge that sufficiency and glory which we absolutely, immediately, and universally depend upon! 2. Hereby is demonstrated how great God’s glory is considered comparatively, or as compared with the creature’s.-By the creature being thus wholly and universally dependent on God, it appears that the creature is nothing, and that God is all. Hereby it appears that God is infinitely above us; that God’s strength, and wisdom, and holiness, are infinitely greater than ours. However great and glorious the creature apprehends God to be, yet if he be not sensible of the difference between God and him, so as to see that God’s glory is great, compared with his own, he will not be disposed to give God the glory due to his name. If the creature in any respects sets himself upon a level with God, or exalts himself to any competition with him, however he may apprehend that great honour and profound respect may belong to God from those that are at a greater distance, he will not be so sensible of its being due from him. So much the more men exalt themselves, so much the less will they surely be disposed to exalt God. It is certainly what God aims at in the disposition of things in redemption, (if we allow the Scriptures to be a revelation of God’s mind,) that God should appear full, and man in himself empty, that God should appear all, and man nothing. It is God’s declared design that others should not ” glory in his presence;” which implies that it is his design to advance his own comparative glory. So much the more man ” glories in God’s presence,” so much the less glory is ascribed to God. 3. By its being thus ordered, that the creature should have so absolute and universal a dependence on God, provision is made that God should have our whole souls, and should be the object of our undivided respect. If we had our dependence partly on God, and partly on something else, man’s respect would be divided to those different things on which he had dependence. Thus it would be if we depended on God only for a part of our good, and on ourselves, or some other being, for another part: or if we had our good only from God, and through another that was not God, and in something else distinct from both, our hearts would be divided between the good itself, and him from whom, and him through whom, we received it. But now there is no occasion for this, God being not only he from or of whom we have all good, but also through whom, and is that good itself, that we have from him and through him. So that whatsoever there is to attract our respect, the tendency is still directly towards God; all unites in him as the centre. 1. We may here observe the marvelous wisdom of God, in the work of redemption. God hath made man’s emptiness and misery, his low, lost, and ruined state, into which he sunk by the fall, an occasion of the greater advancement of his own glory, as in other ways, so particularly in this, that there is now much more universal and apparent dependence of man on God. Though God be pleased to lift man out of that dismal abyss of sin and woe into which he was fallen, and exceedingly to exalt him in excellency and honour, and to a high pitch of glory and blessedness, yet the creature hath nothing in any respect to glory of; all the glory evidently belongs to God, all is in a mere, and most absolute, and divine dependence on the Father, Son, and Holy Ghost. And each person of the Trinity is equally glorified in this work: there is an absolute dependence of the creature on every one for all: all is of the Father, all through the Son, and all in the Holy Ghost. Thus God appears in the work of redemption as all in all. It is fit that he who is, and there is none else, should be the Alpha and Omega, the first and the last, the all and the only, in this work. 2. Hence those doctrines and schemes of divinity that are in any respect opposite to such an absolute and universal dependence on God, derogate from his glory, and thwart the design of our redemption. And such are those schemes that put the creature in God’s stead, in any of the mentioned respects, that exalt man into the place of either Father, Son, or Holy Ghost, in any thing pertaining to our redemption. However they may allow of a dependence of the redeemed on God, yet they deny a dependence that is so absolute and universal. They own an entire dependence of God for some things, but not for others; they own that we depend on God for the gift and acceptance of a Redeemer, but deny so absolute a dependence on him for the obtaining of an interest in the Redeemer. They own an absolute dependence on the Father for giving his Son, and on the Son for working out redemption, but not so entire a dependence on the Holy Ghost for conversion, and a being in Christ, and so coming to a title to his benefits. They own a dependence on God for means of grace, but not absolutely for the benefit and success of those means; a partial dependence on the power of God, for obtaining and exercising holiness, but not a mere dependence on the arbitrary and sovereign grace of God. They own a dependence on the free grace of God for a reception into his favour, so far that it is without any proper merit, but not as it is without being attracted, or moved with any excellency. They own a partial dependence on Christ, as he through whom we have life, as having purchased new terms of life, but still hold that the righteousness through which we have life is inherent in ourselves, as it was under the first covenant. Now whatever scheme is inconsistent with our entire dependence on God for all, and of having all of him, through him, and in him, it is repugnant to the design and tenor of the gospel, and robs it of that which God accounts its lustre and glory.